Hello, my son is thinking about getting a 350z, used one, and was wondering if any members have one and what r the issues, pros and cons. For a few extra dollars, get a 370z. Beautiful machine. If I were to buy a 350z....don't buy the early versions of them. Everyone I know that’s had both says the 370 is way better. Even the later 350s are hands-down better than the earlier ones. Early 6 speeds were problematic. I have one that's jammed into one of the gears and won't shift. 05/06 Revup editions were plagued by oil consumption issues. All the 3.5 v6s were oil burners. That settles it. 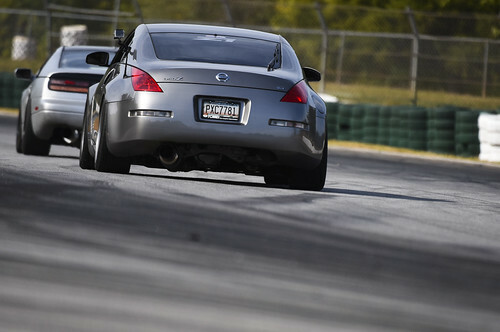 370Z for the win. Easier identified by two throttle bodies. Earlier 350s had known bad valve stem seals. I have a neighbor that smokes out the whole street when he starts his car in the morning. You don't know what you're talking about. The RevUp editions have a single throttle body just like the regular DE. Google RevUp oil consumption. All. The. VQ. 35. DE. Motors. Burn. Excessive. Oil. So what's the difference between the two. Rev up and DE. Maybe it's the extra throttle body you hooked up? Aside from what I already said? RevUp has a bit more hp and torque. The VQ-HR has the two throttle bodies. Last few years of the 350 had this. My years at Nissan saw no higher difference in any of the MYs over another about oil consumption. Good stuff...thanks, been reading on line that the 2006 350z had oil consumption issue. Some say the piston rings,come say its the oil because when they change to 10-30 no issue, some say its the pcv. Will keep on reading. -Weaker on power compared to later models. -Worse oil consumption / compression issues than earlier VQ engines. 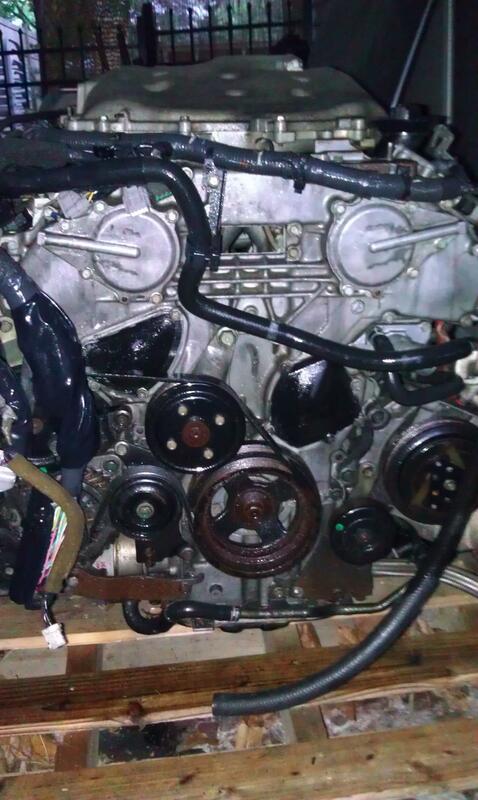 -Oil gallery gasket failure is somewhat common, and requires the removal of timing covers to service. The '07+ is far superior in EVERY way. I whore out the '07+ HR 350Z's because they're truly incredible cars. 370Z is also a great option, early models are getting cheaper and close to the cost of an '07+ 350Z, but they suffer from the same CON's (gallery gasket and slave cylinder). 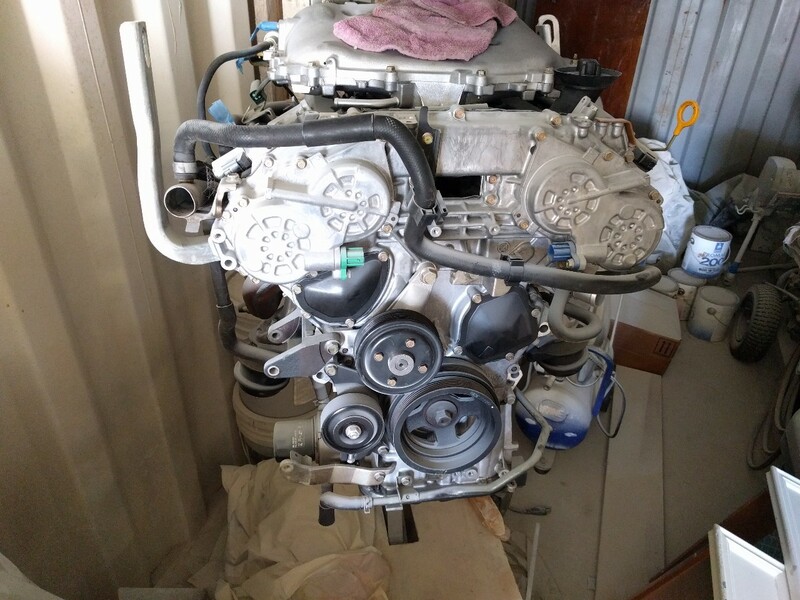 In addition, they Nissan's VVEL (variable valve event lift) which is heavy, and not serviceable which means there are zero cam options for the intake side of the heads. It also produces far more heat, so earlier models suffer from high-oil-temps. Oil cooler highly recommended. Now I'm biased because I own one....but I'm also well educated for the same reason. I love my '07 350Z, most reliable car I have owned EVER and it makes great power for an NA bolt-on car. About 308whp with 278 lb-ft to be exact. I have 162,000 miles on this turd and it's absolutely incredible. I track it, I daily drive it, and it takes literally everything I throw at it. That said, if I was in your position I would NOT recommend a 350Z for a first car (if that's the case here). They are just enough car to seriously get yourself in trouble with if you're inexperienced or irresponsible. If those aren't issues, I would absolutely invest in one. Picture of my '07 getting ready to eat a TT 300ZX on Road Atlanta just because. Your issue wasn't oil pump, it was oil gallery gaskets. It's an internal leak from the oil gallery covers, fairly common. Sounds like the dealer wasn't familiar with VQ's. Your 370Z suffers the same fate eventually, if it ever starts to lose oil pressure, address the gallery gaskets asap. These cars do produce low oil PSI at idle (600RPM idle is about 15PSI) but should never read near zero.